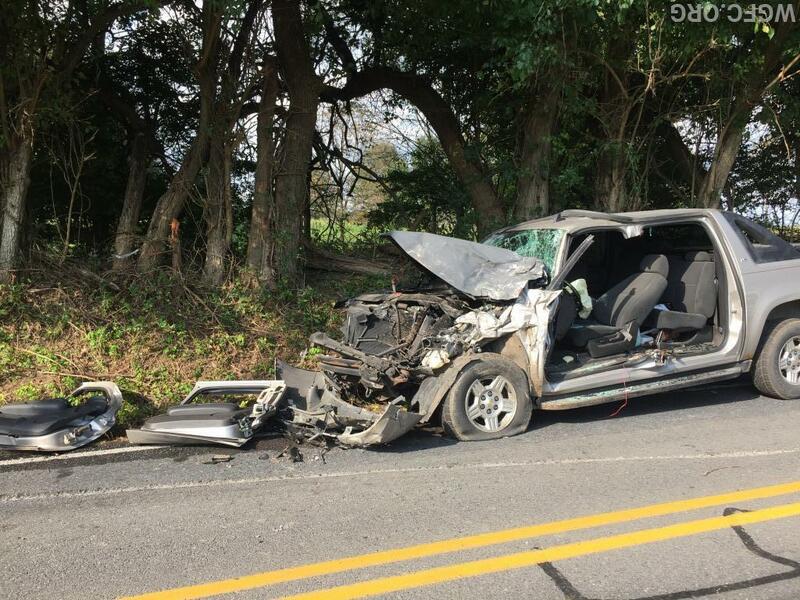 At 1459 hours, the Chester County Fireboard alerted Company 22 for a motor vehicle collision (MVC) in the 400 block of East Avondale Road in London Grove Township. 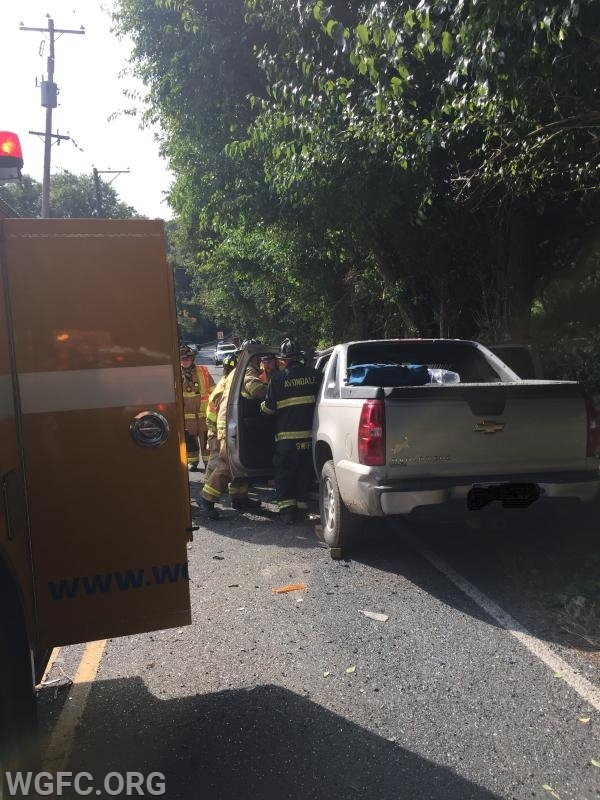 As more calls were coming into the 9-1-1 Center, the incident was upgraded to an MVC with entrapment now located in the 400 block of Garden Station Road. Ambulance 22-1, Ambulance 22-2 and both Medic 94 units all responded at dispatch.  Engine 22-1, with six, responded at 1504 hours. Squad 22, with two, and Rescue 22, with two, both followed up minutes later. Avondale Fire Company Lieutenant 23 arrived on scene first to confirm the 400 block of Garden Station Road, and had two pickup trucks involved with multiple patients and one subject trapped. This report added Ambulance 23-1 to the incident. 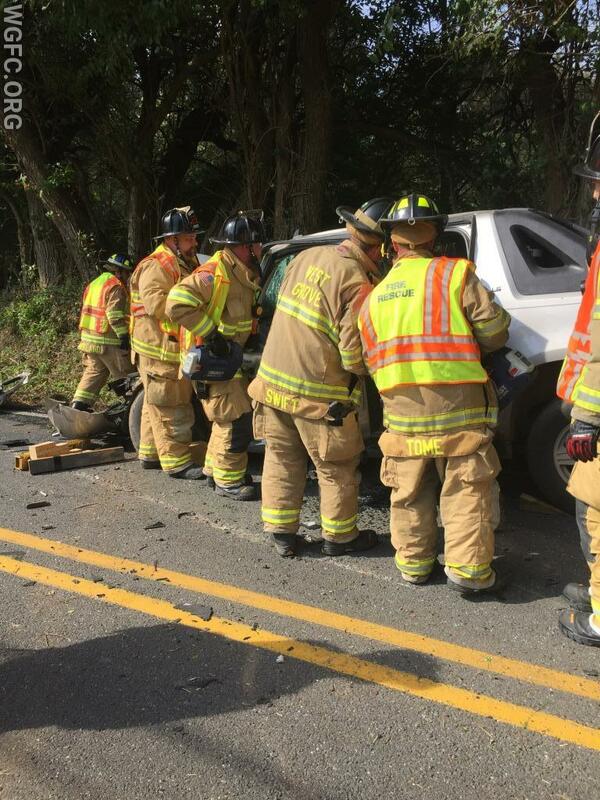 Engine 22-1 arrived and the crew went to work, with crews splitting for cribbing to stabilize the vehicle and others removing the plastic trim for the e-draulics to be utilized for a total driver side removal. These new "jaws of life" tools are used to cut and push away car components that trap people in vehicle crashes like this one. Within seven minutes of Engine 22-1's arrival, the subject was extricated and handed off to EMS crews for patient packaging. In total, four patients were transported to Christiana Hospital Emergency Room for further evaluation. Rescue 22's crew assisted in the debris cleanup, while the crew from Squad 22 handled shutting down the road while the incident was ongoing. Engine 22-1 had the "Garden Station Road Command". Pennsylvania State Police is investigating the crash. 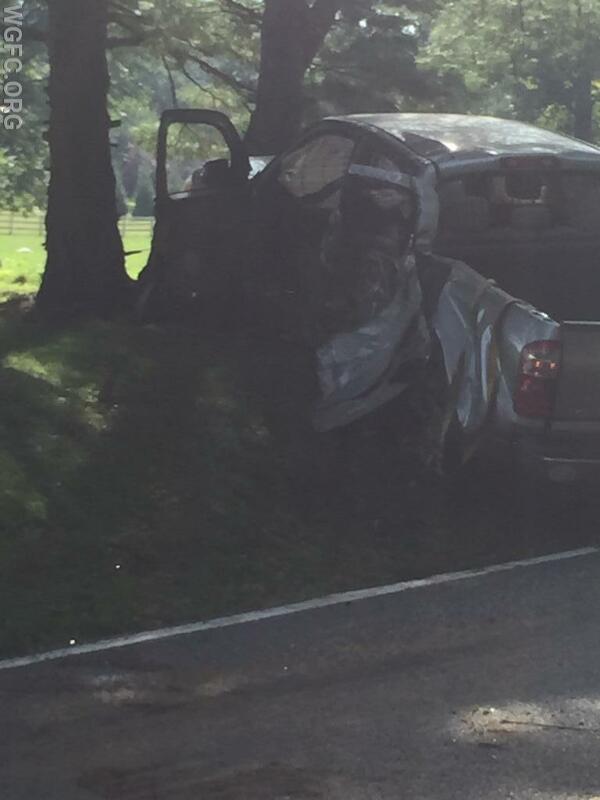 West Grove Fire Company crews work to remove a driver trapped by this crash in London Grove Township.